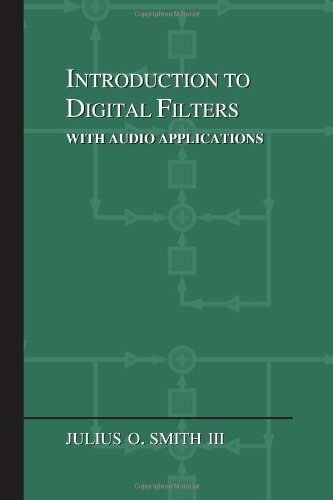 The dc blocker is an indispensable tool in digital waveguide modeling  and other applications.B.4 It is often needed to remove the dc component of the signal circulating in a delay-line loop. It is also often an important tool in multi-track recording, where dc components in the various tracks can add up and overflow the mix. Figure B.11 shows the frequency response of the dc blocker for several values of . The same plots are given over a log-frequency scale in Fig.B.12. The corresponding pole-zero diagrams are shown in Fig.B.13. As approaches , the notch at dc gets narrower and narrower. While this may seem ideal, there is a drawback, as shown in Fig.B.14 for the case of : The impulse response duration increases as . While the ``tail'' of the impulse response lengthens as approaches 1, its initial magnitude decreases. At the limit, , the pole and zero cancel at all frequencies, the impulse response becomes an impulse, and the notch disappears. 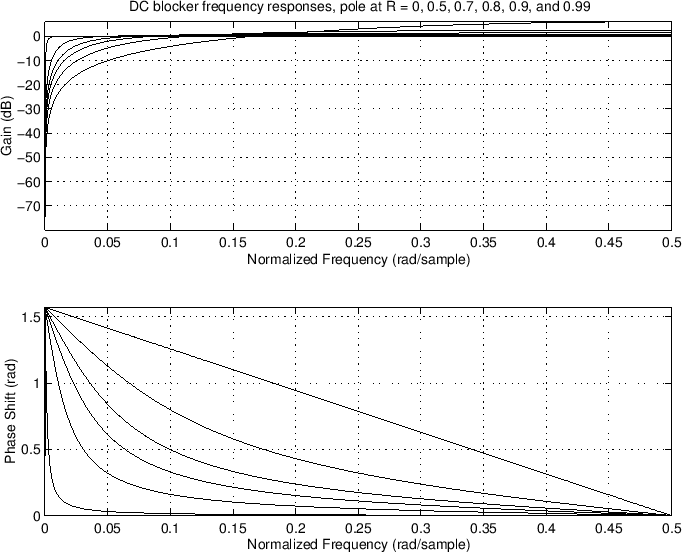 Figure B.11: Frequency response overlays for the dc blocker defined by for various values of pole radius . (a) Amplitude response. (b) Phase response. 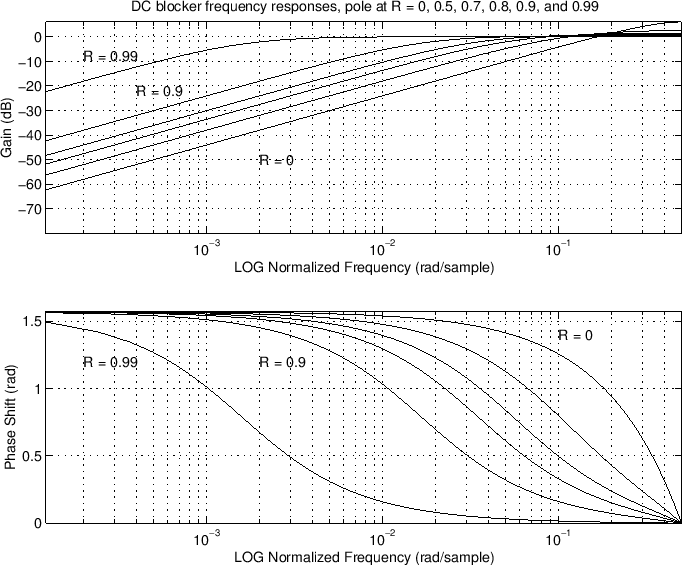 Figure B.12: Log-frequency response overlays for the dc blocker defined by for various values of pole radius . (a) Amplitude response. (b) Phase response. 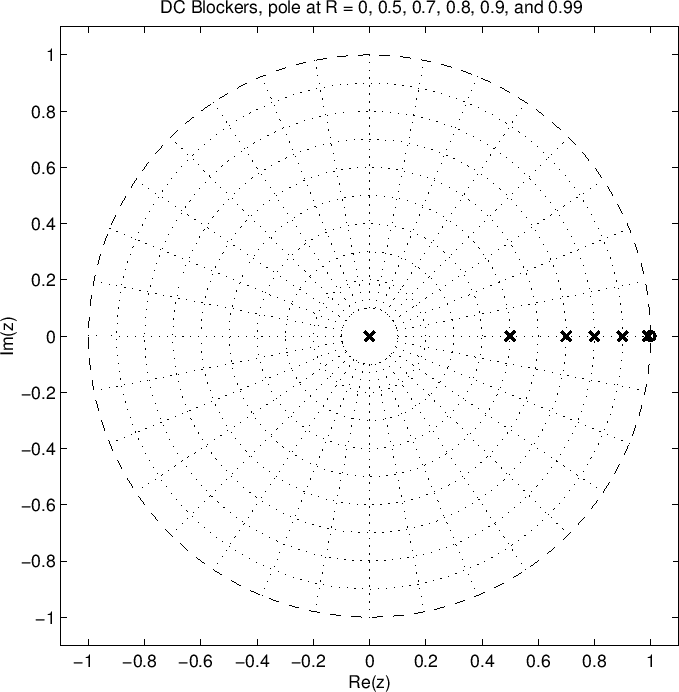 Figure B.13: Pole-zero diagram overlays for the dc blocker defined by for various values of pole radius . 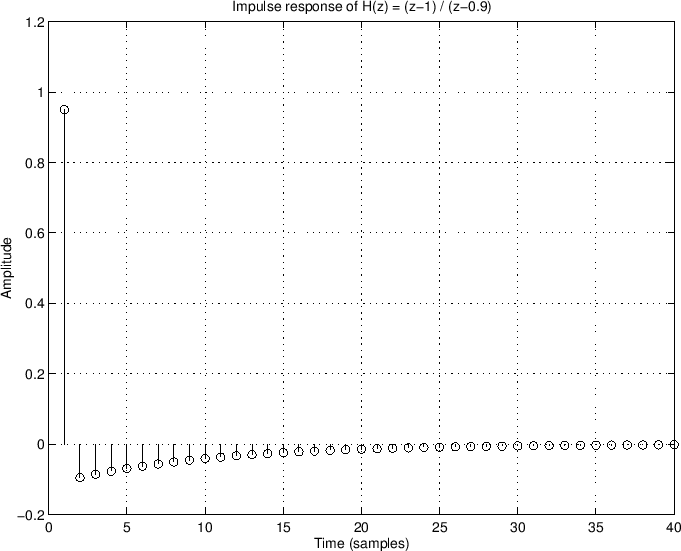 Figure B.14: Impulse response of the dc blocker defined by . Here, x denotes the current input sample, and y denotes the current output sample. The variables xm1 and ym1 hold once-delayed input and output samples, respectively (and are typically initialized to zero). In this implementation, the pole is fixed at , which corresponds to an adaptation time-constant of approximately samples. A smaller value allows faster tracking of ``wandering dc levels'', but at the cost of greater low-frequency attenuation. 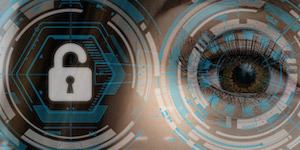 For a discussion of issues and solutions related to fixed-point implementations, see .